It is pretty amazing how fast time flies. It feels like we have torn apart so much yet our results seem to yield so little. Through photos I document our progress and because they all look fairly unchanging Jeff and I made it our mission to put up at least one piece of drywall to end week 6. More than anything, we needed to get a visual sense that something positive is happening in our house. I think the cat would appreciate some forward momentum too! Its getting difficult for him to find a comfortable resting place in this shell of a house. As a result, Milo settled into the built-in china hutch in our future dining room. 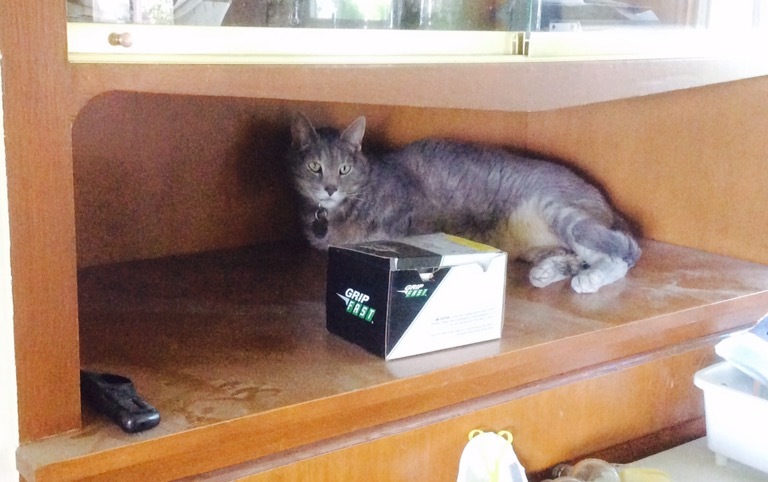 Unfortunately, Milo completely overlooked the nice spa-like area where I placed his “cat house”. 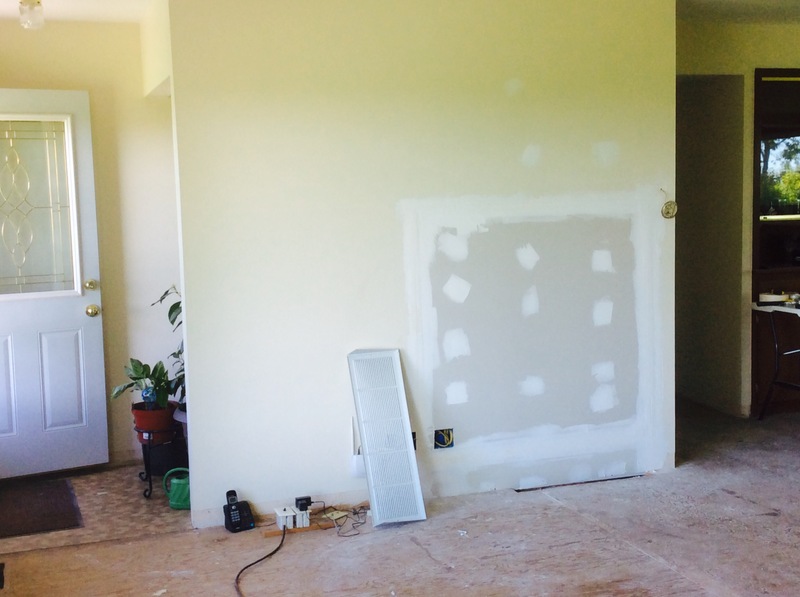 This area is to be a cedar accent wall in the new master 1/2 bath. 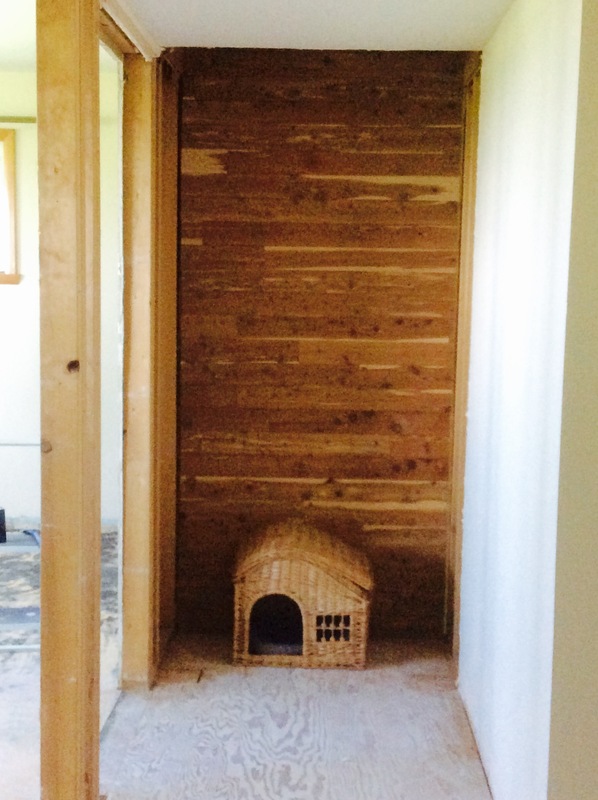 We didn’t want to waste this back wall of the previously existing cedar closet so we left it in place. 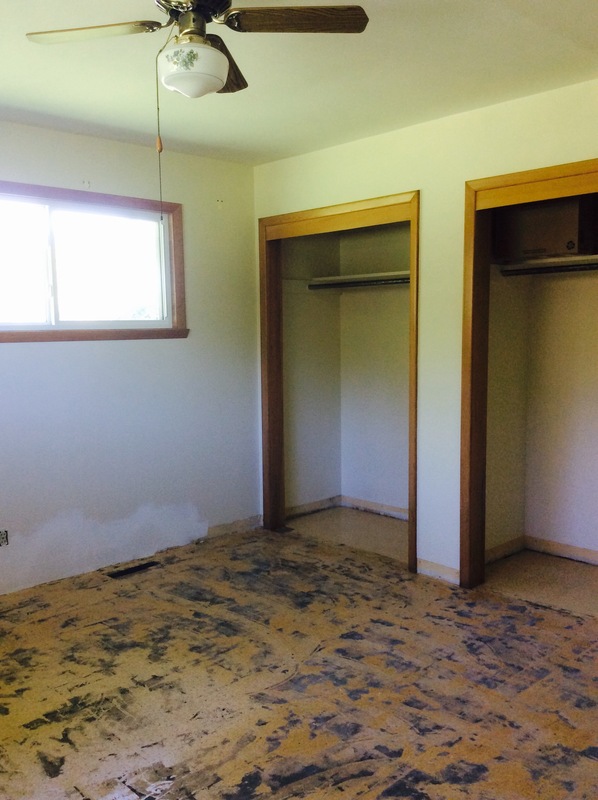 The guest bedroom is well on its way to receive ceiling texture and being prepped for paint. Yes, you read it right; we are adding ceiling texture to help camouflage existing seams in an otherwise solid ceiling. Past work on the house was done well but I don’t think they were too skilled in the art of ceiling mud work (see top right of photo). Never the less, a light orange peel texture might be just enough to make things look better. Contractors are due to start sometime this week and I couldn’t be happier! It’s time for our design plans to move full steam ahead. I’m ready for a livable house with a full kitchen to cook in. I’m sure my husband would eventually like his Quonset space back too! Oh! A dirt update; the garden is still heading in the right direction. 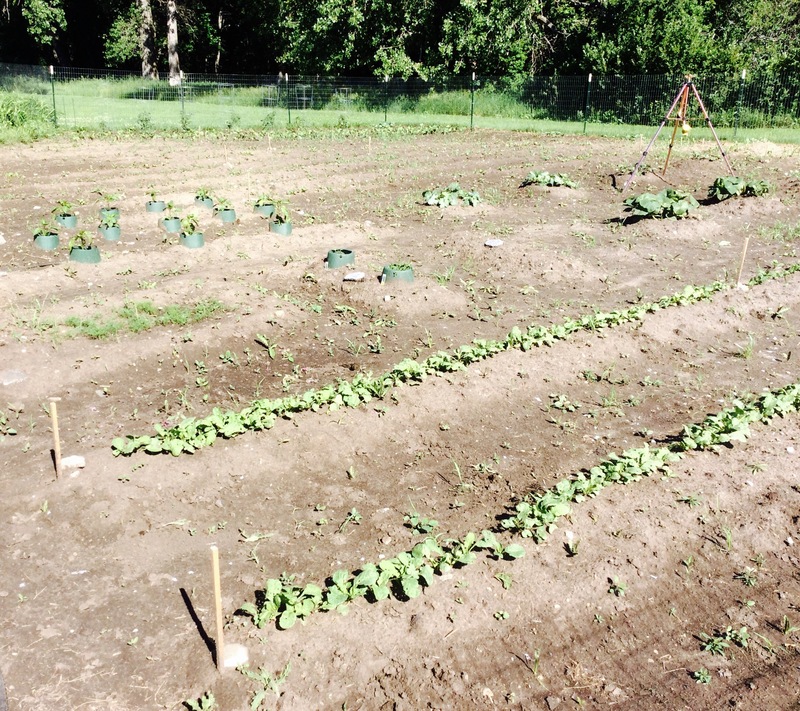 The amazing weather and more than adequate rainfall has really helped our late garden get off to a good start. A couple more additions have also gone into the coop. 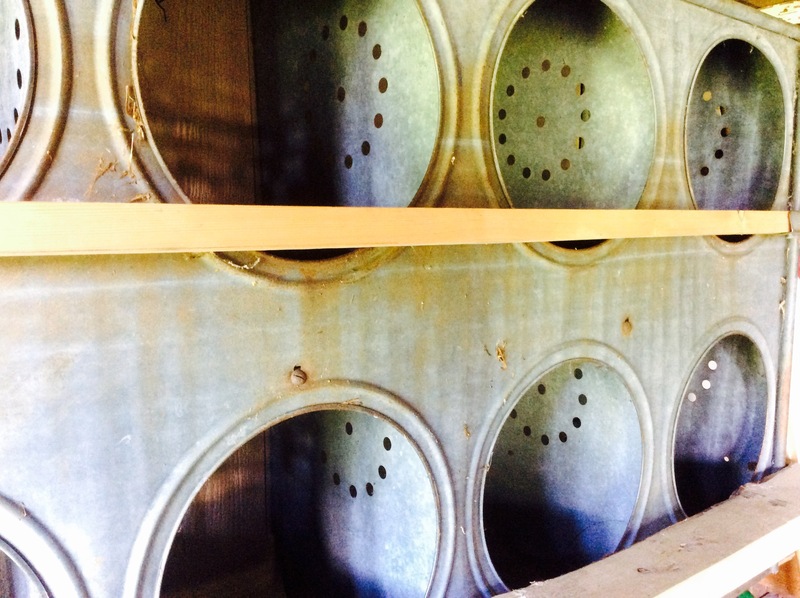 A nesting box (a vintage one a friend gave us) has been installed along with roosting bars on a separate wall. Future projects will include a screen door for better summer ventilation in the coop and a roof vent. 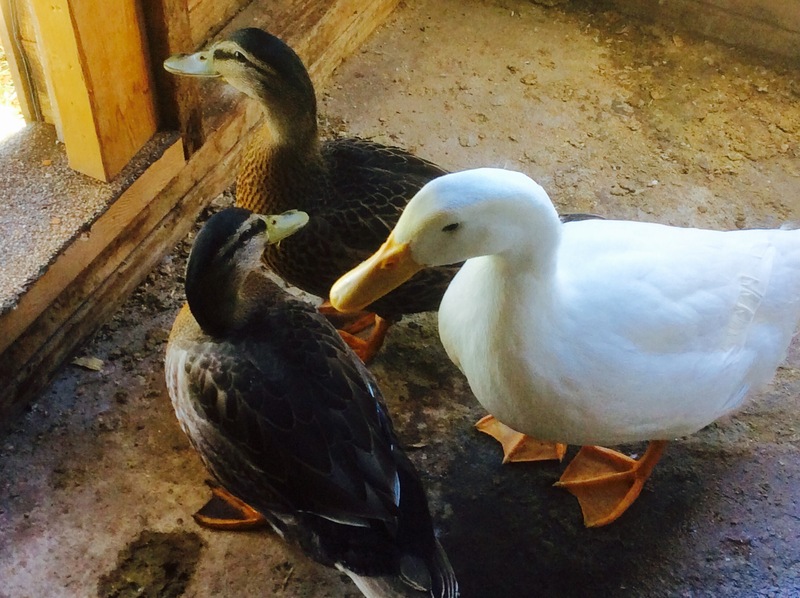 And…the ducks are getting so big! They are getting friendlier and more vocal everyday! Get ready Week 7, here we come!